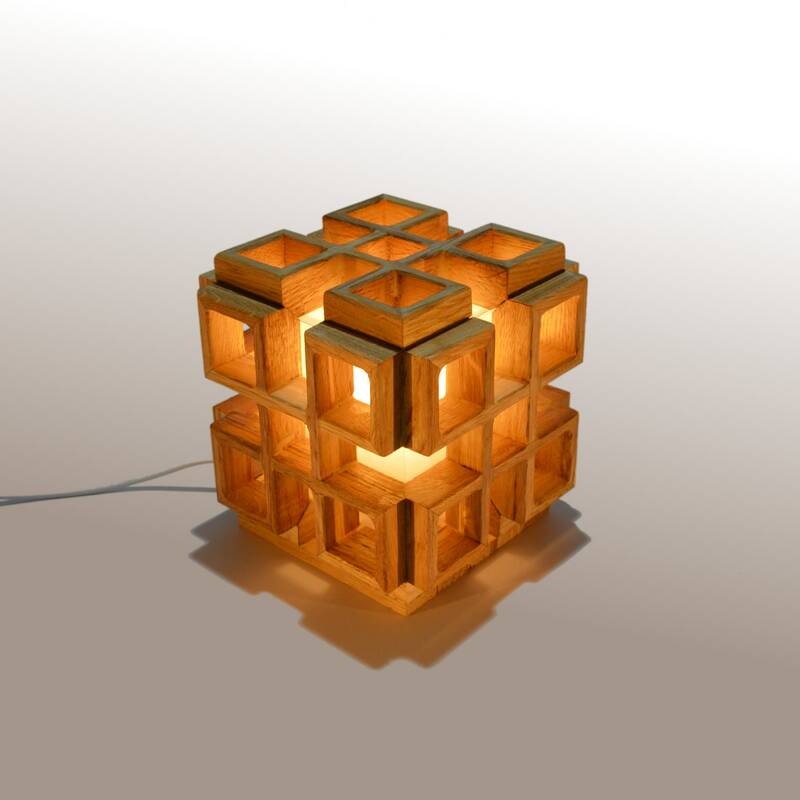 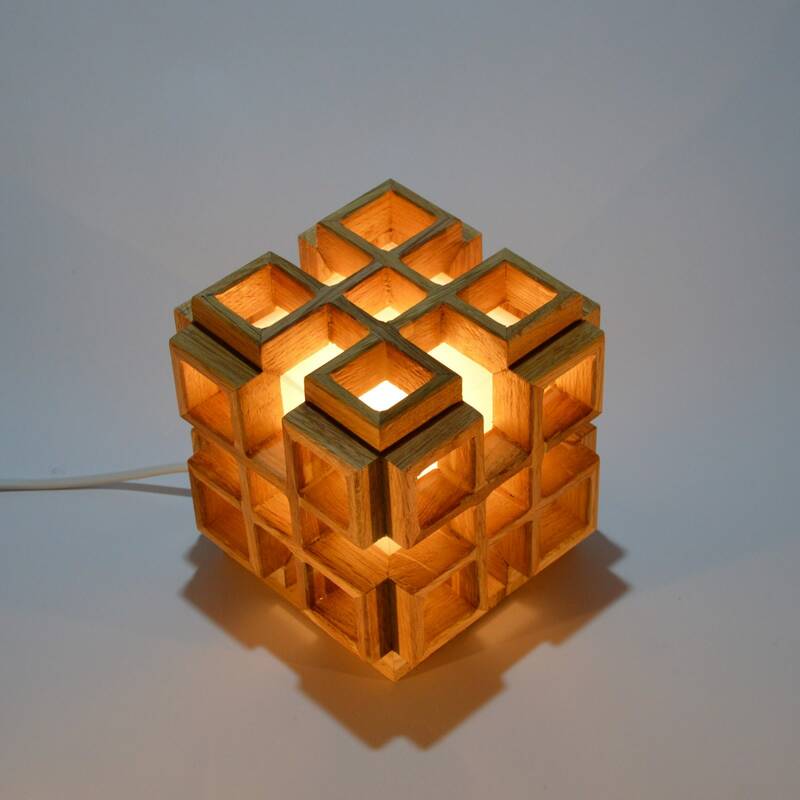 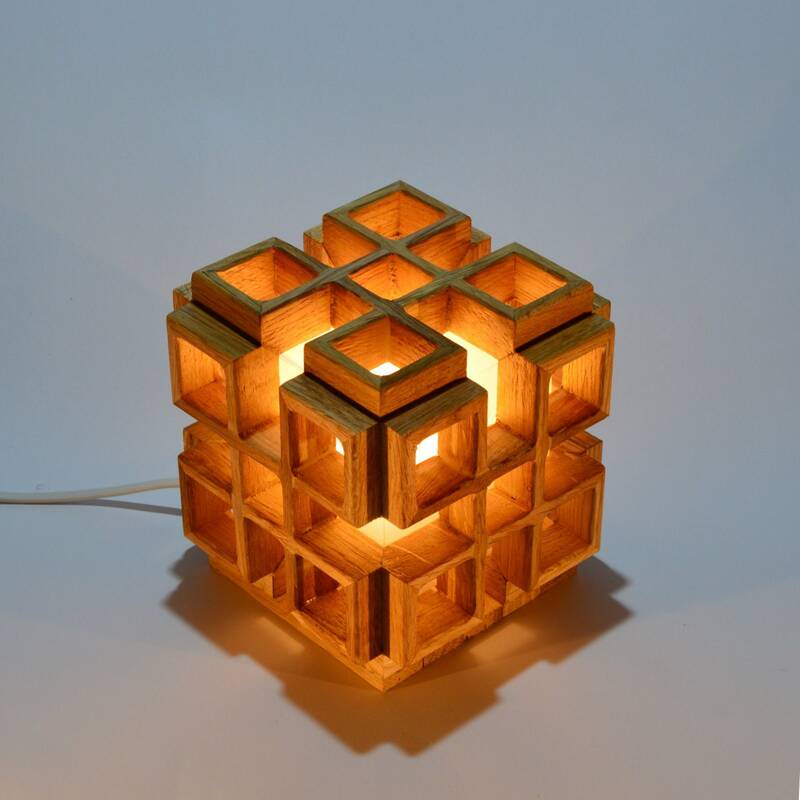 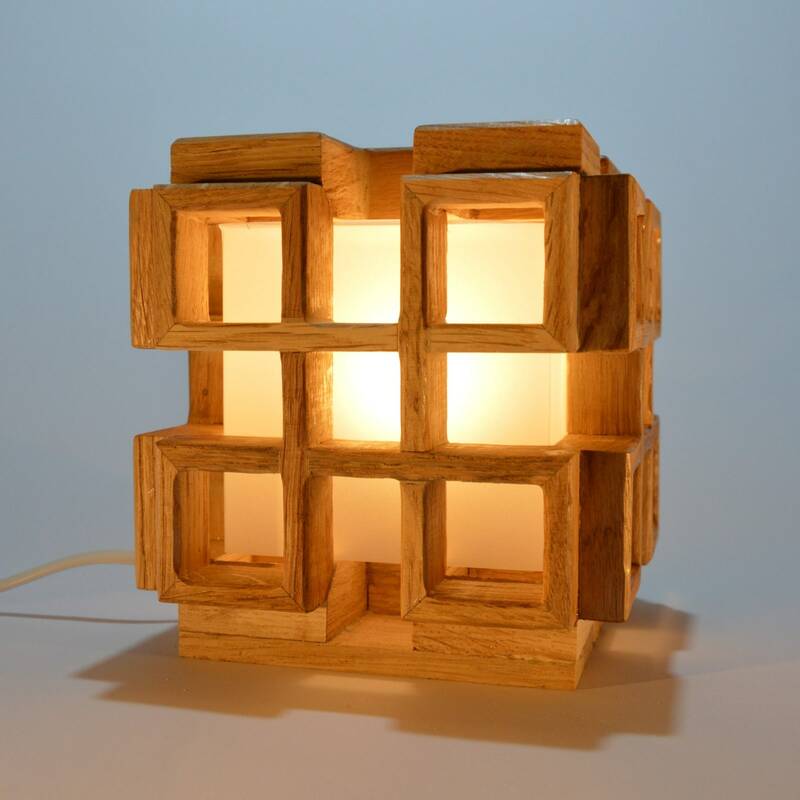 Small design wooden lamp composed of 5 squares. 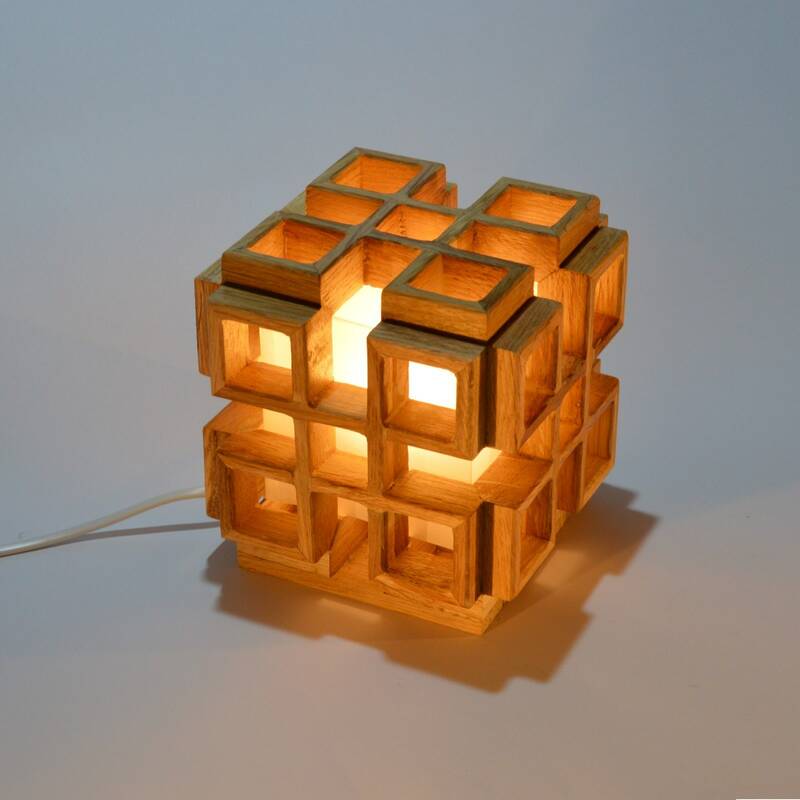 They are also called Bowen knot or True Knot Lovers. 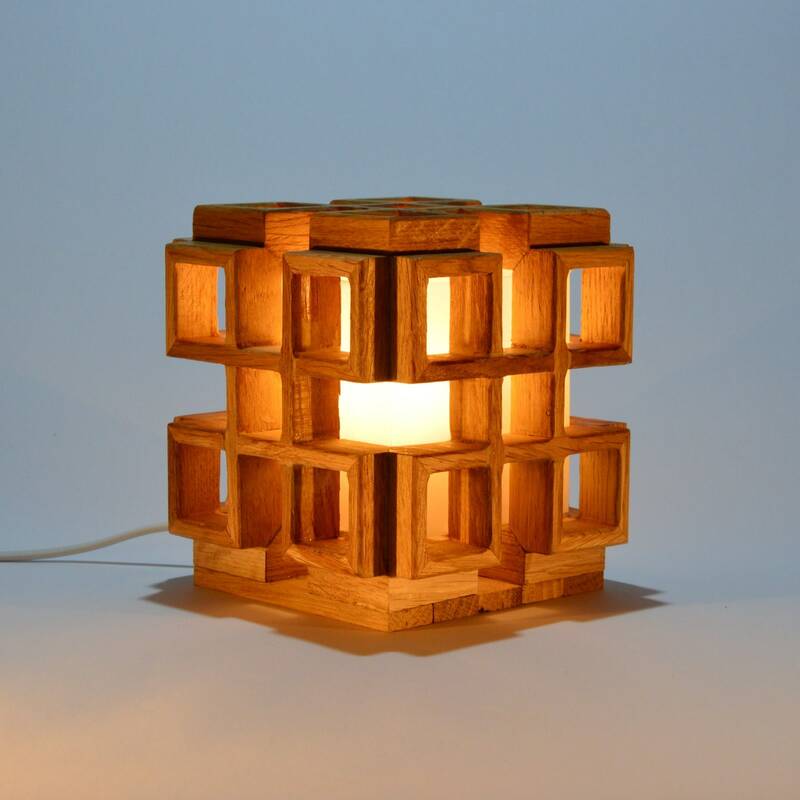 This handmade lamp has an original design and a glossy finish. 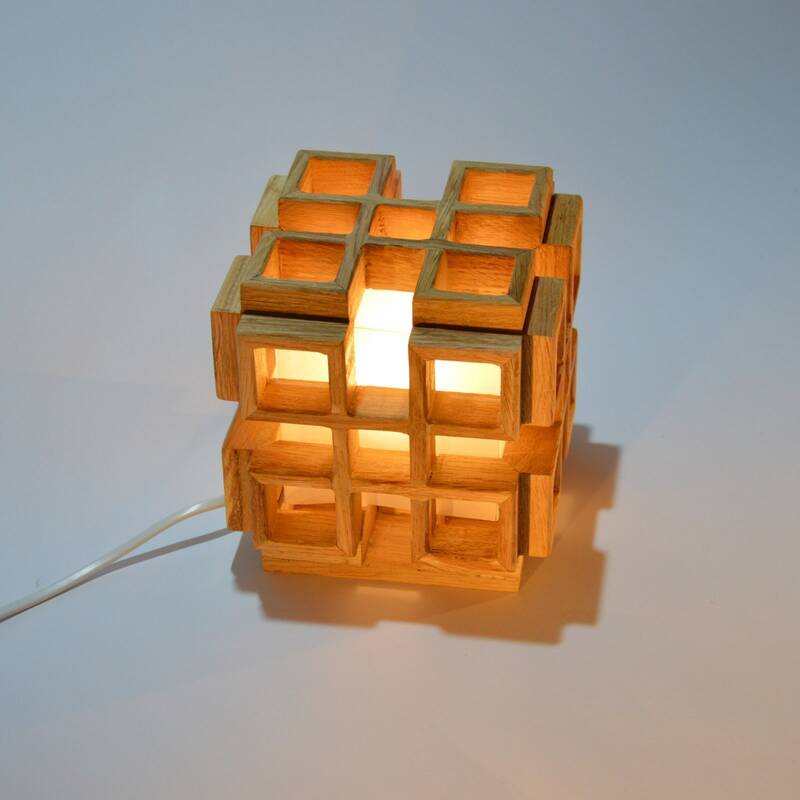 The interior is lined with special paper to make the light soft and comfortable. 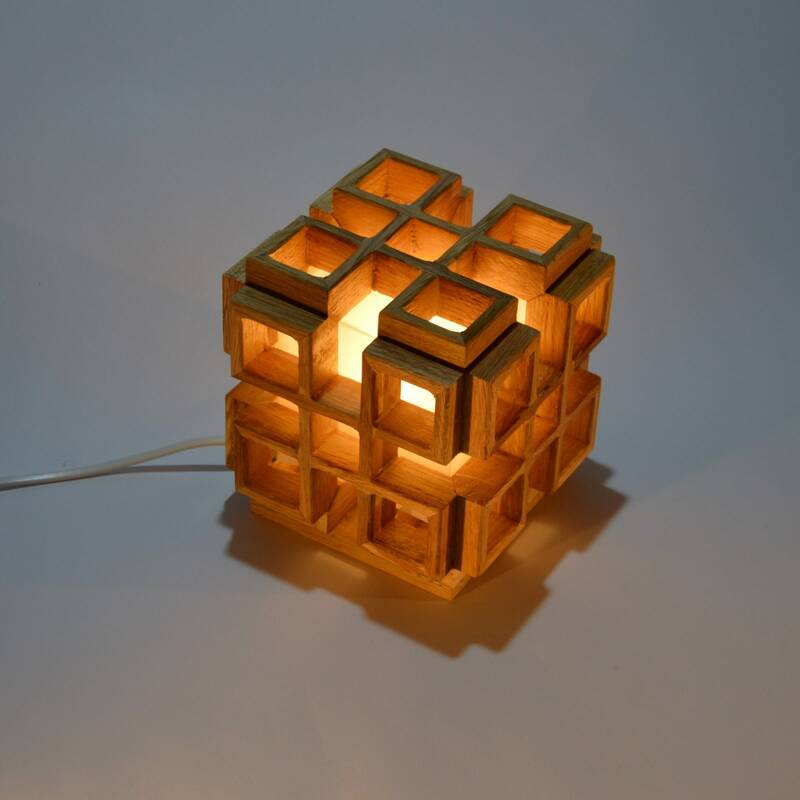 Cable: 2m white with switch.